Last Sunday was a difficult day in Headquarters for Dr Crokes. Corofin were excellent and never allowed Dr Crokes to settle into the game. 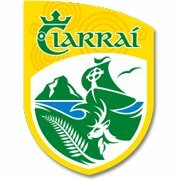 In the Gaelic Grounds 2 years ago Corofin suffered a harrowing All Ireland semi-final defeat against Dr Crokes, but they haven’t lost a Championship encounter on the local, provincial, or national stage since. They have managed the incredible feat of back to back titles. As Selector Niall O’Callaghan said in the post match interview, it is only a game at the end of the day and not life or death. I have absoloutely no doubt that Dr Crokes will come back from this even stronger and far better days await this club.